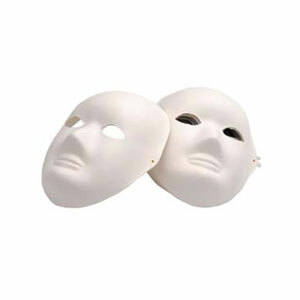 EC Face Masks are made from papier mache, making them suitable for painting and decorating. Full face and half face masks are available and come with elastic. EC Face Masks are ideal for kids craft projects, school drama performances, fancy-dress parties, and art classes.